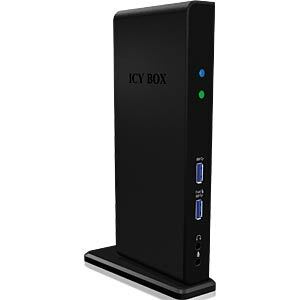 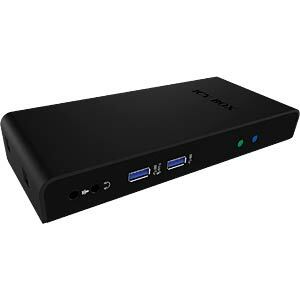 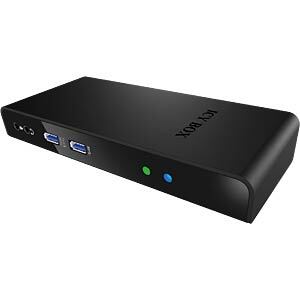 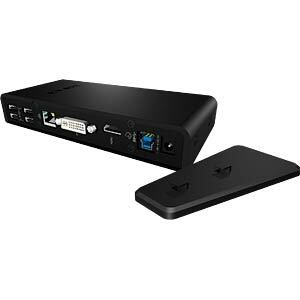 The IB-DK2241AC expands a notebook/PC via the USB 3.0 port, with DVI-I, HDMI, various USB 2.0 and USB 3.0 and audio connections, plus a Gigabit Ethernet connection. 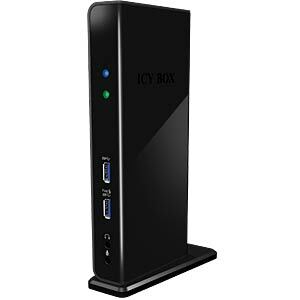 This way, you can connect directly to a TV, projector or another monitor. 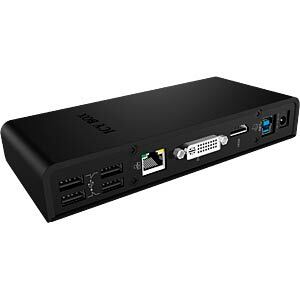 The USB ports allow the simultaneous operation of up to 4x USB 2.0 and 2x USB 3.0 devices. 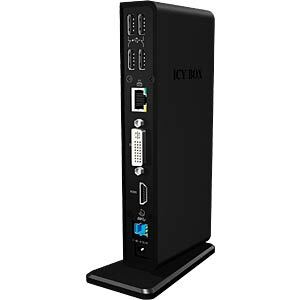 In addition, there is a Gigabit Ethernet port on the housing for connecting to a router or switch.